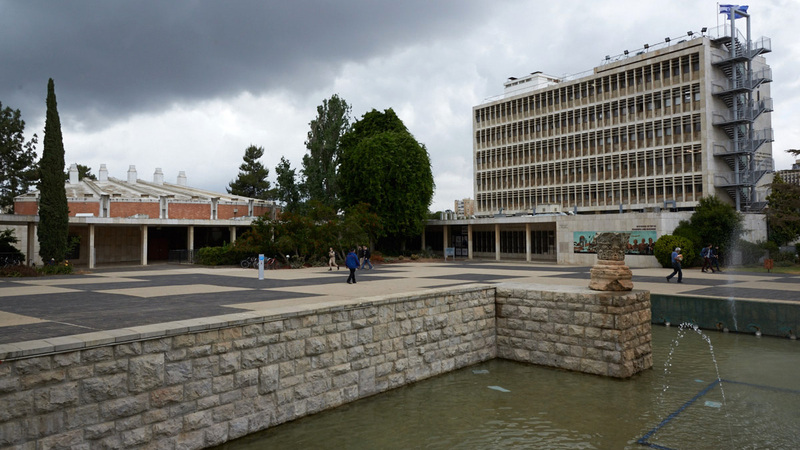 Located in western Jerusalem’s Givat Ram neighborhood, this oval-shaped campus was constructed on 150 acres of eroded limestone along a ridge of the Judean Hills. American landscape architect Lawrence Halprin was commissioned to design the campus’ central core. 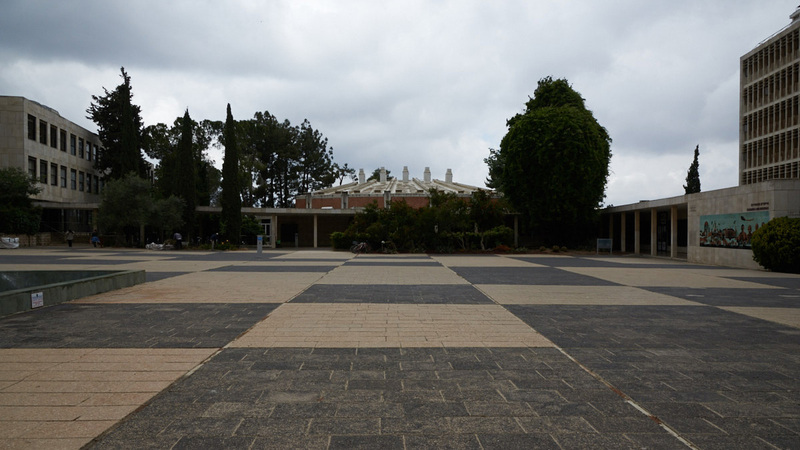 He completed an open-space study of the site in 1957, proposing a series of plazas for the tiered hillside rather than a traditional quadrangle campus. 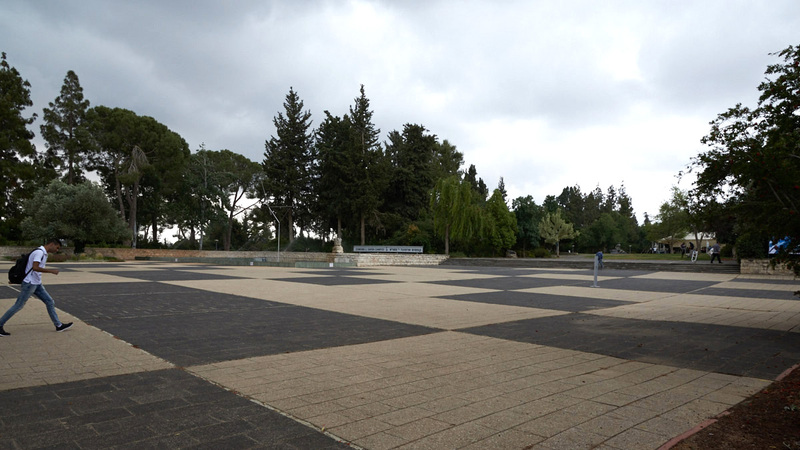 Halprin’s design took into consideration the scale of the site and the probable needs of a small student body. 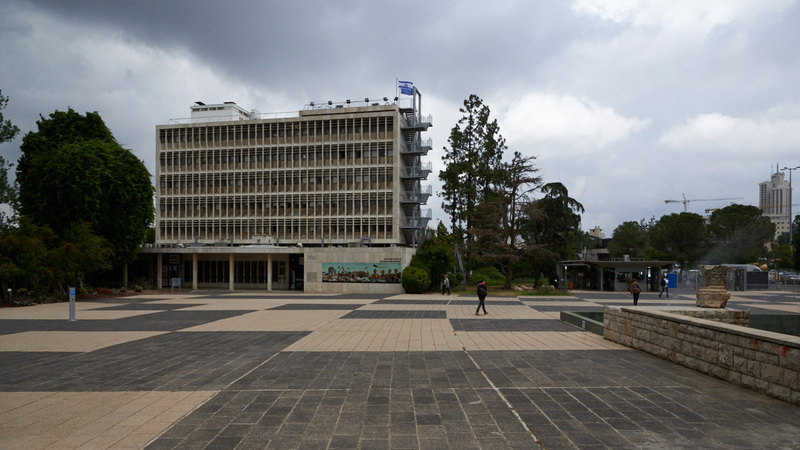 The campus was completed in 1960. 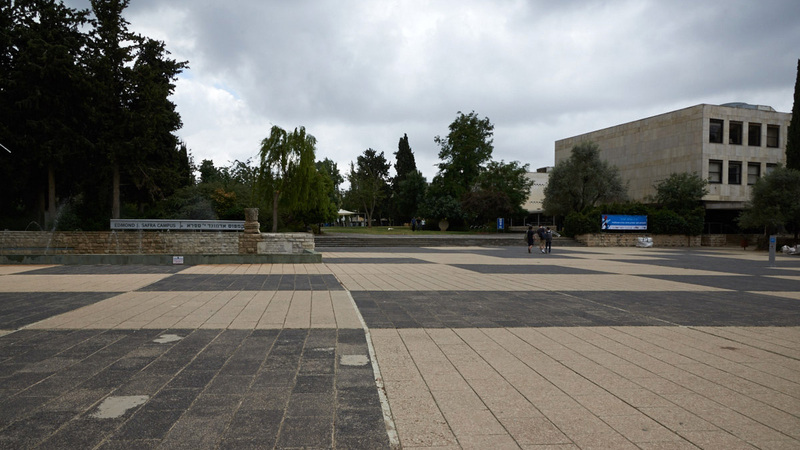 At the northern entrance to the campus is Halprin’s Chaim Weizmann Square, which features checkerboard paving. At one corner of the square is a rectangular reflecting pool with fountains, and a piece of kinetic sculpture entitled Two Lines Oblique by American artist George Rickey at its center. Adjacent to the pool is a low flight of steps leading up to the campus’ central lawn. 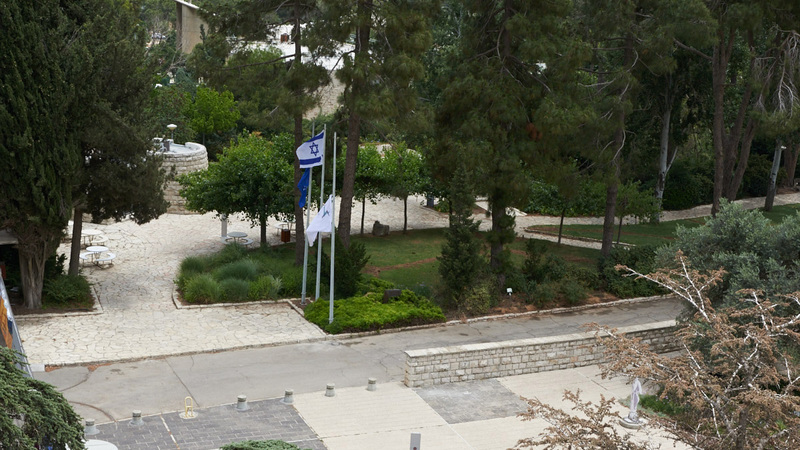 At the southern end of the campus are dormitories and the Jerusalem Botanical Garden. 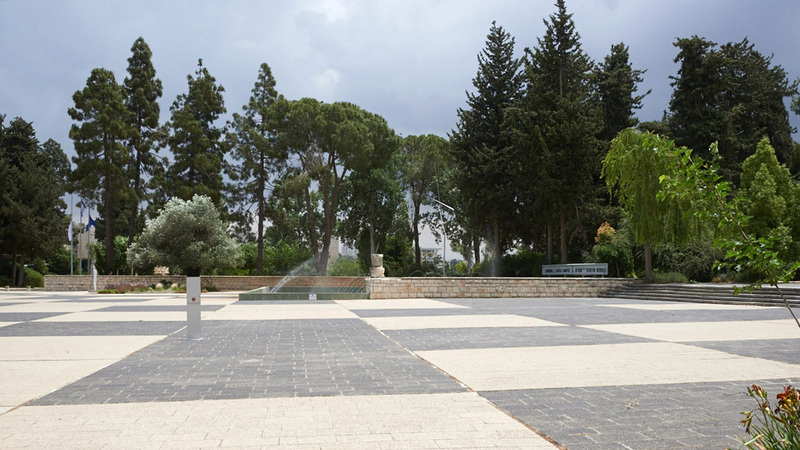 The garden, a joint project between the University, the Jerusalem Municipality, and the Jewish National Fund, was planned by Shlomo Aronson and opened to the public in 1985. Having separated from the University in 1994, it is now managed by the Botanical Garden Association and showcases plant life from all over the world.